Confession: Last year the holiday decorations didn't even make it out of storage. I was newly pregnant and so so sick (I still refer to those early days with the twins as the Dark Ages), my toddler was too little to understand the holidays anyway, and my husband never got around to it, what with finals and then packing everyone to leave for Christmas. Let's just say this year I'm making up for it. Fine, maybe I'm overcompensating. But hey, my toddler is old enough to get it this year, and it has been SO fun decorating with her and teaching her all about the season. I really want to focus on giving this year (Remember this post? Are you participating in the day of service on Thursday?). In fact, the sponsor of my post today, Scotch® Brand, is donating $200,000 to Fisher House this season, a charity that provides comfort homes where military families can stay while a loved one is receiving treatment. So, yesterday when the twins were napping, we made some holiday gift wrap together and talked about giving presents. 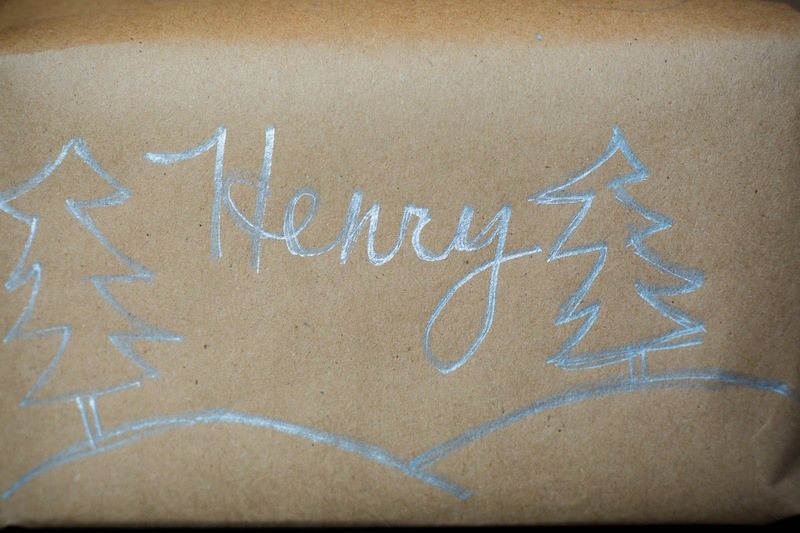 I love the look of craft paper as a wrapping paper, so all our DIY gift wrap was made from the same base. 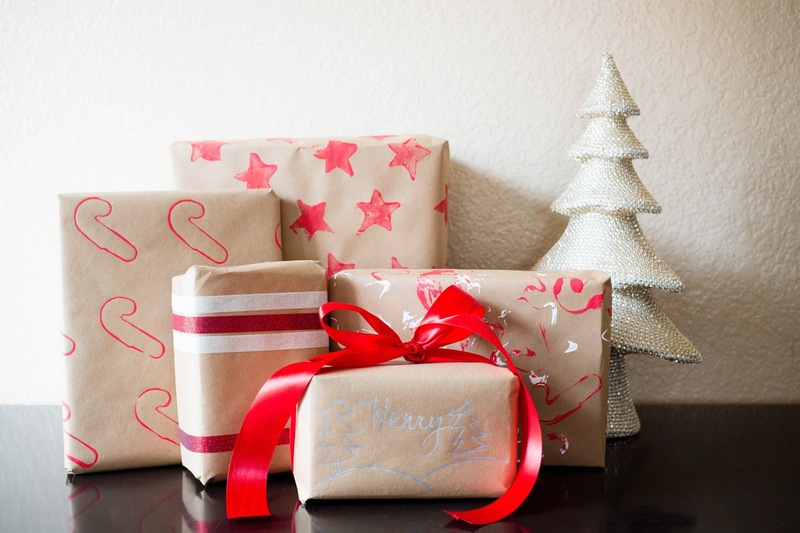 And with just a few more items, you can make DIY wrapping paper four ways. It's toddler friendly, budget-friendly, and adorable. Here's how. 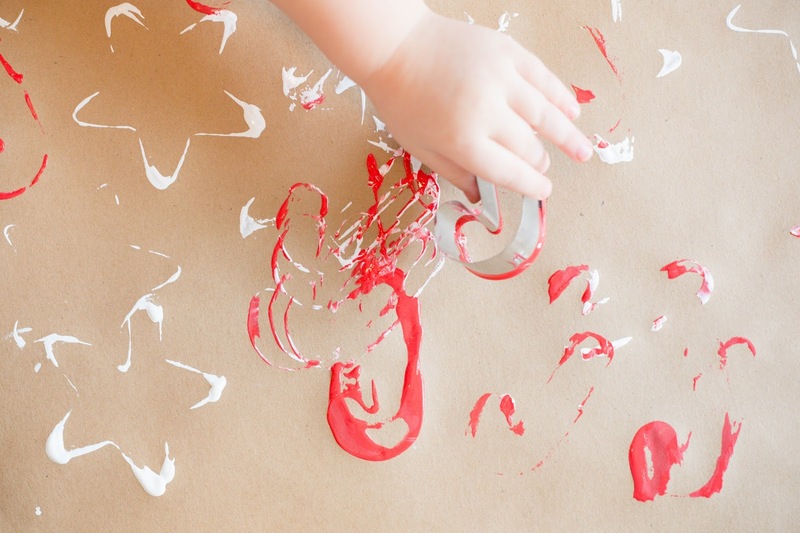 Spread a large length of craft paper on a clean surface. Pour some acrylic paint onto a plate (acrylic paint is usually pretty good at wiping off when you're done, but better use a disposable or plastic plate to be safe). 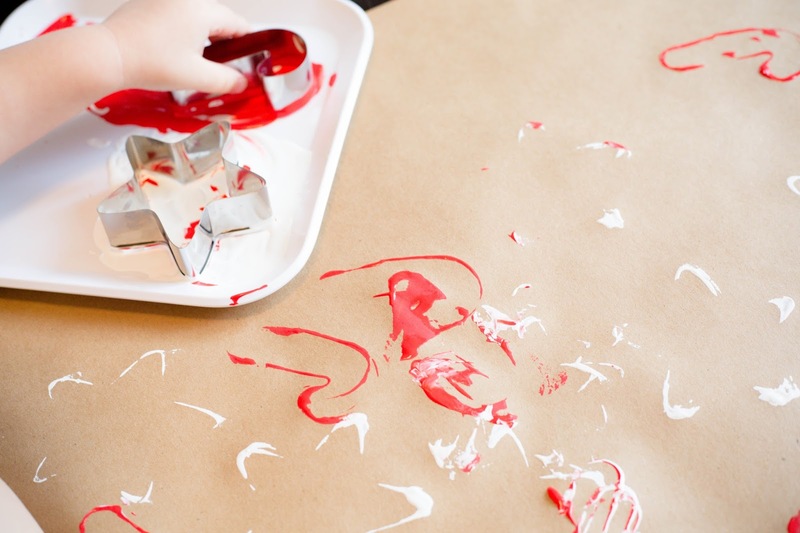 Turn the cookie cutters upside down (to expose the thickest edge) and dip into paint, then stamp on craft paper. This one was so easy, and my toddler absolutely loved it. We got a cheap set of cookie cutters from Walmart (I think they were $1.99) and have used them for both cookies and crafts already. This one is similar to the first one, except I made a potato stamp instead. 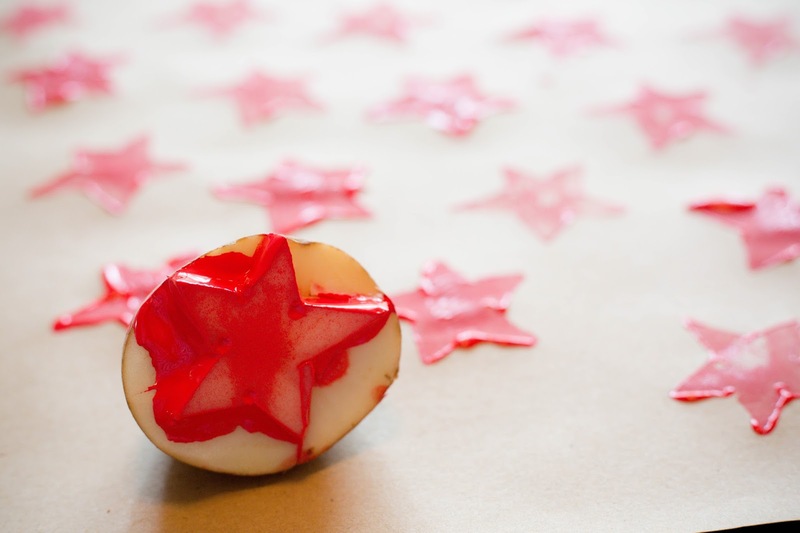 Quick potato stamp tutorial: Cut a large potato in half. Use a knife to carefully carve a simple shape (well, if you're more talented than me, I guess you don't have to stick to a simple shape). 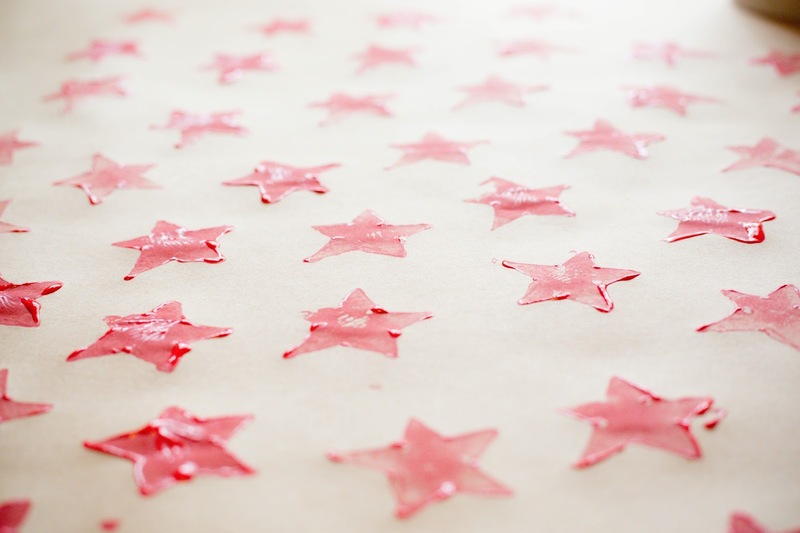 I'd recommend a simple star or Christmas tree if you're a beginner. 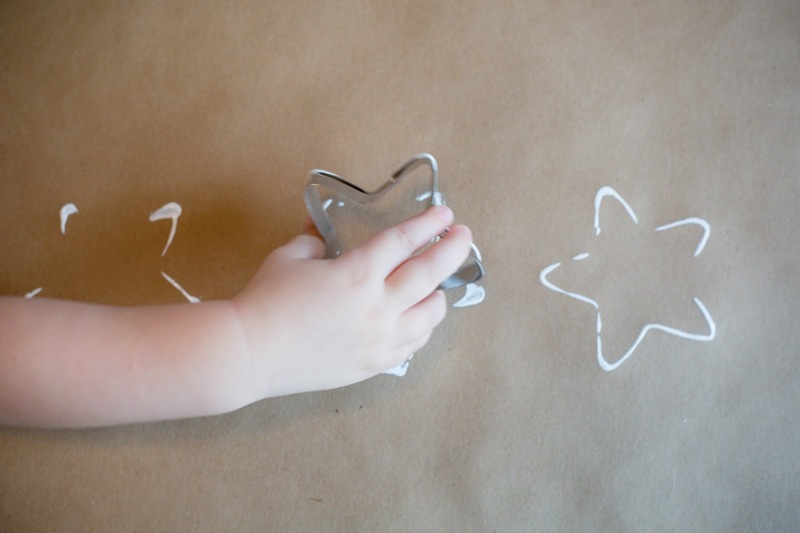 Pat the potato dry, and then dip it in acrylic paint and stamp on craft paper. I could usually get 3 or 4 stamps out of one paint dip. 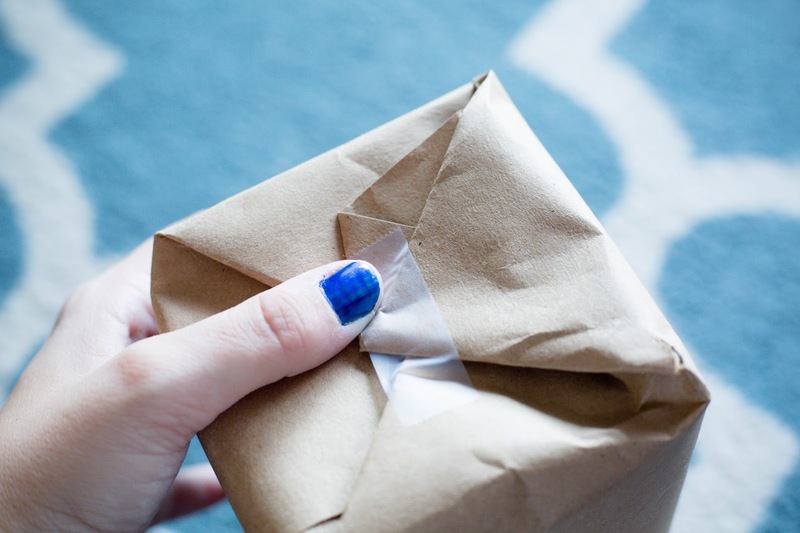 Wrap the present with plain craft paper (again, the Scotch® Magic™ Tape worked best for holding the heavier paper in place). 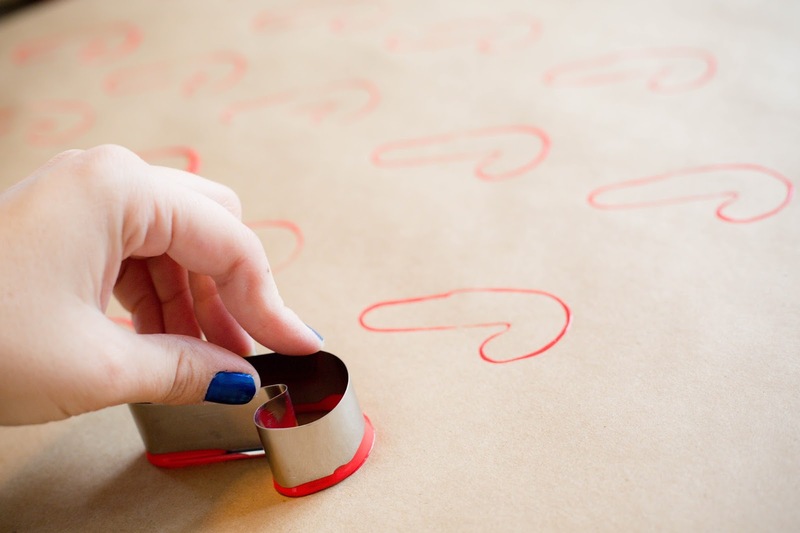 Then use a metallic permanent marker to decorate the gift with the recipient's name, a holiday scene, or whatever you like. My toddler loved this one, and in fact, the backs of most of these presents are covered with her scribbles. 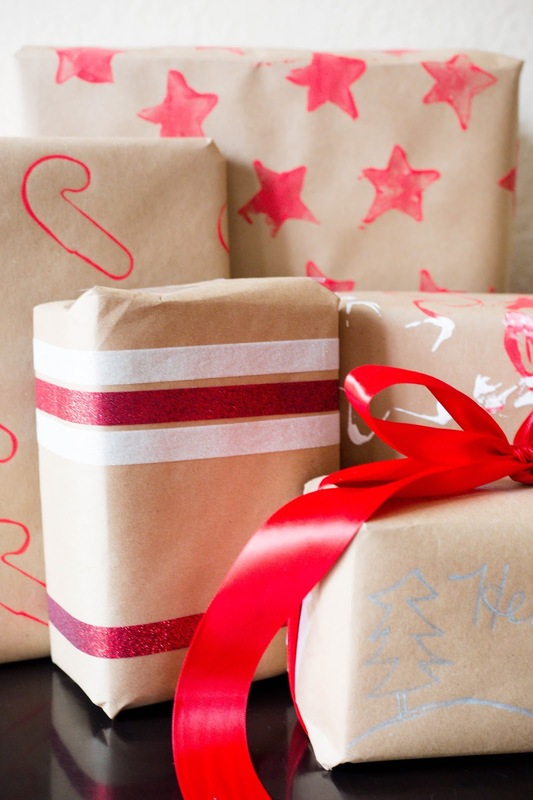 This is an easy and fun way to personalize the gifts. 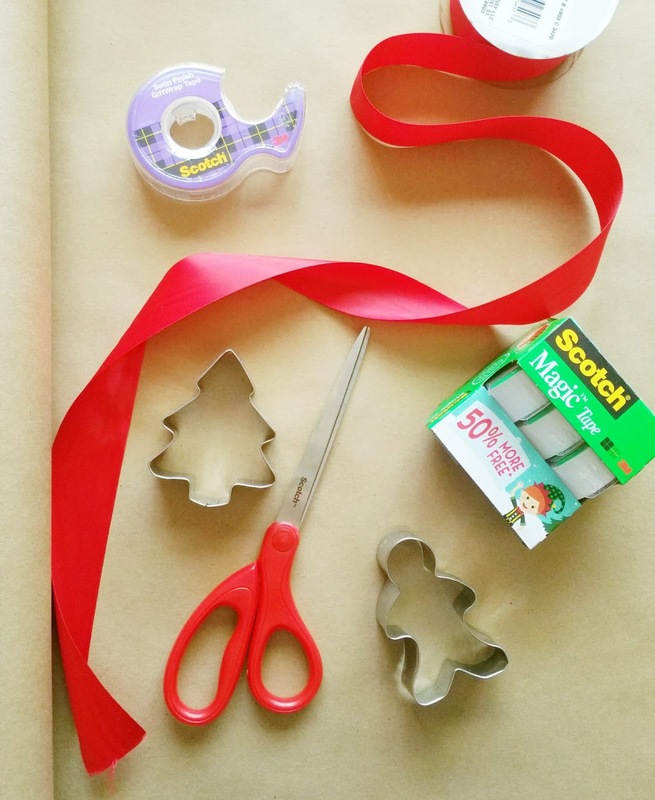 Add a large ribbon as a final touch. ^^I know what you're thinking. How does she draw such symmetrical trees?? We picked up everything from Walmart (check out the cute elf packaging for the tape! ), and although I already had the scissors, potato and ribbon at home, our total was less than $12, which is fantastic considering the number of hours this entertained us for, and the darling final product. 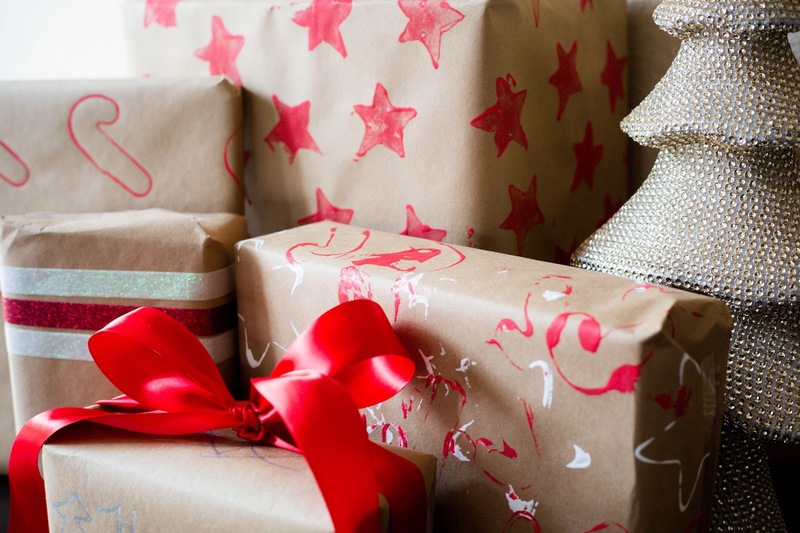 (Plus, grandparents go crazy over homemade wrapping paper.) 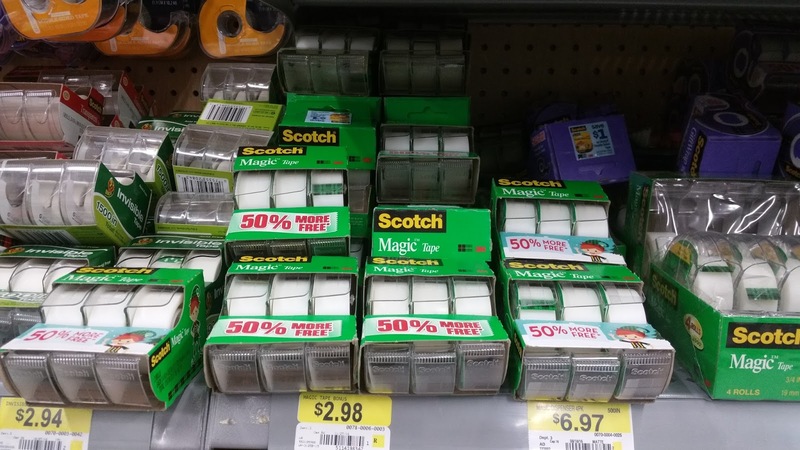 This is a great time to stock up on wrapping supplies at Walmart early and save with 50% off and Rollback prices as well. What are you doing to give this holiday season? 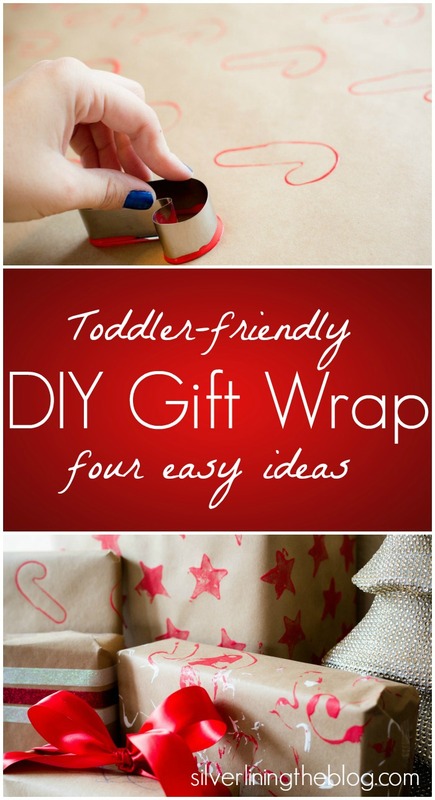 Other favorite DIY gift wrap ideas? There are lots more great ideas here too.